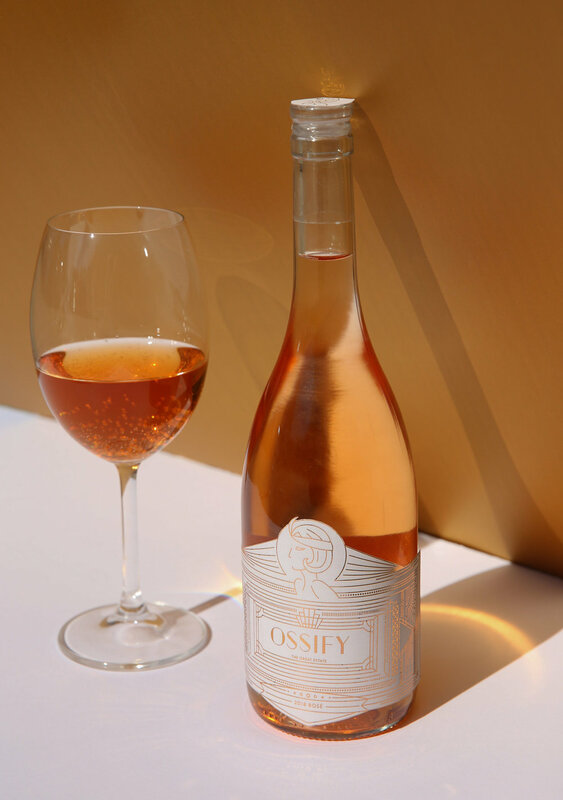 Inspired by art deco in the 1920s, Ossify was designed as a rosé, made in Long Island, NY. The name was derived from the 1920’s slang term “ossified,” meaning tipsy. The top and front label is foiled in metallic gold, along with areas on the back label. The photos were taken in natural light to emphasize the shine of the label through the use of light, shadows, and reflections.